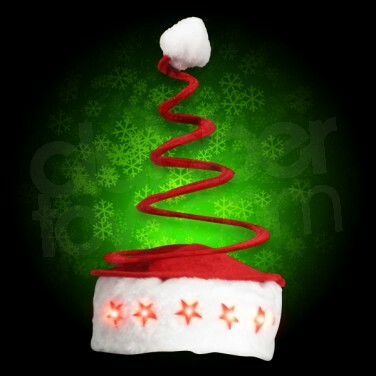 A fabulous red Christmas hat with a cute, unique twist, this Flashing Springy Santa Party Hat has a white band finished with red flashing LED stars and is made up of a cone shaped spring! 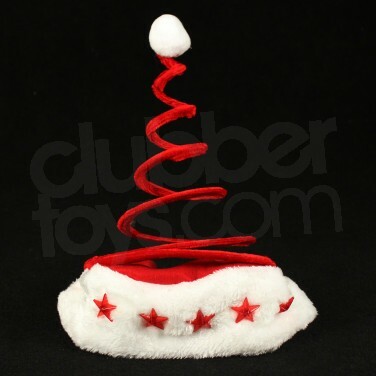 Fabulous fun when you dance, the spring bounces so that it's dancing too! 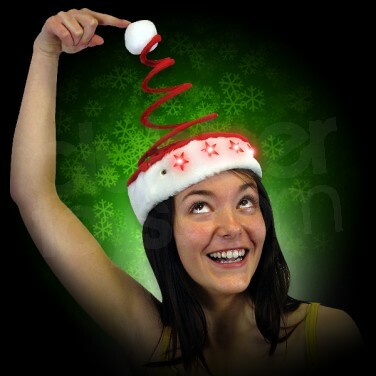 Perfect for Christmas parties! 2 x AG13 batteries included and ready to go! 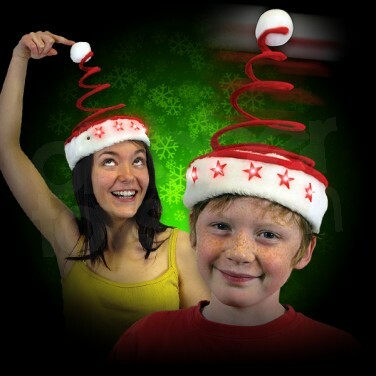 Spring Santa Hat Get into the Christmas spirit and dress up for your Christmas party in this playful Flashing Springy Santa Party Hat! 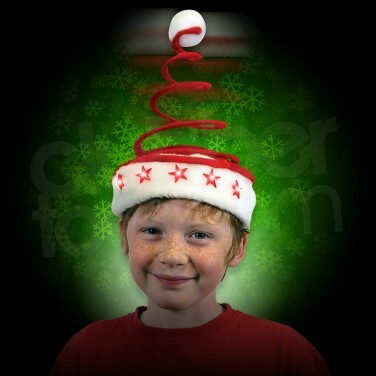 Brilliant fun and perfect for fancy dress or accessorising your Christmas outfit.